Mark Burnett to Ex-Wife: You Did Not Invent "Survivor"
Producer's ex writes tell-all memoir about her role in making the reality show a success. 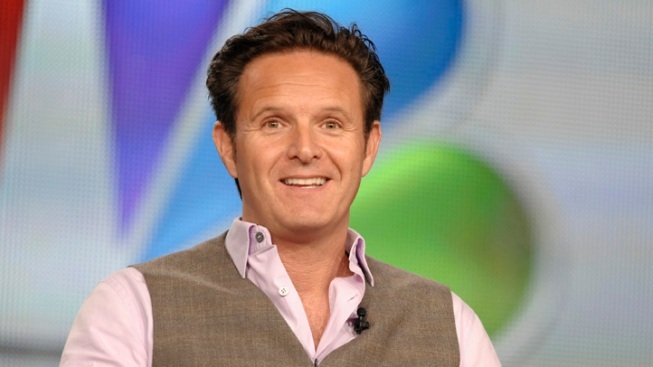 Producer Mark Burnett denies claims made by ex-wife that she contributed to the success of "Survivor." Dianne Burnett was voted off the marriage island to ex-husband Mark Burnett long ago, but is only now having her say about what went on behind the scenes in making "Survivor" a success. Dianne is set to publish a tell-all memoir, "The Road to Reality: My Journey as a Real Life Survivor," on Sept. 18 in which she claims she's responsible in part for the success of the groundbreaking CBS television reality show now entering its 25th cycle. According to "The Hollywood Reporter" which obtained an advance copy of the book, Dianne claims she not only came up with key elements of the "Survivor" franchise but also named the show and helped vet the host candidates - with the position ultimately going to Jeff Probst. Host Carson Daly and Producer Mark Burnett chat about Season two of "The Voice." Why do they think this season will be better than the first? Plus, why have the coaches become more competitive with each other? And, why do they think "The Voice" has become the "cool" show to be on? Richard Hatch, the winner of the first season of "Survivor" in 2000, wrote the book's forward. Mark, 52, strongly rejects her claims stating that credit for the success of "Survivor" sits firmly with himself and his colleagues. Coming out in support of Mark are host Probst and "Survivor" director Mike Sears, both of whom contacted THR to add their voices to the he-said, she-said mix. Sears says Dianne's claims are "like saying, 'I was standing next to someone who was doing great things; ergo, I did great things.'" Probst's recollection of Dianne in the early days is minimal, telling THR that "I saw [her] over three seasons maybe five times - always in catering." How Did Roma Downey and Mark Burnett Fall in Love? "Touched by an Angel's" Roma Downey and reality TV mega-producer Mark Burnett have been married for almost five years. Roma tells how she met Mark and shares details of their wedding and family life. What important role did Roma's former "Touched by an Angel" co-star Della Reese play in their wedding? And how has Mark's fashion style changed after marriage? Mark, who is executive producer of NBC's "The Voice," is now married to actress Roma Downey. He told THR the claims by his ex-wife are simply a desperate desire to sell books. The couple divorced in 2006 with Dianne receiving a confidential (though reportedly substantial) settlement. Mark's estimated worth is currently $400 million. But writing the book has nothing to with getting more money, according to Dianne. She stated that she simply wants her and Mark's two sons to be aware of the truth.